One of the most prolific street artists out there, Escif, apparently hasn’t taken Christmas off. He’s been on a roll as of late with increasingly more edgy and political imagery (for example here & here), not surprising as the depressing situation in Spain is fertile ground for inspiration. 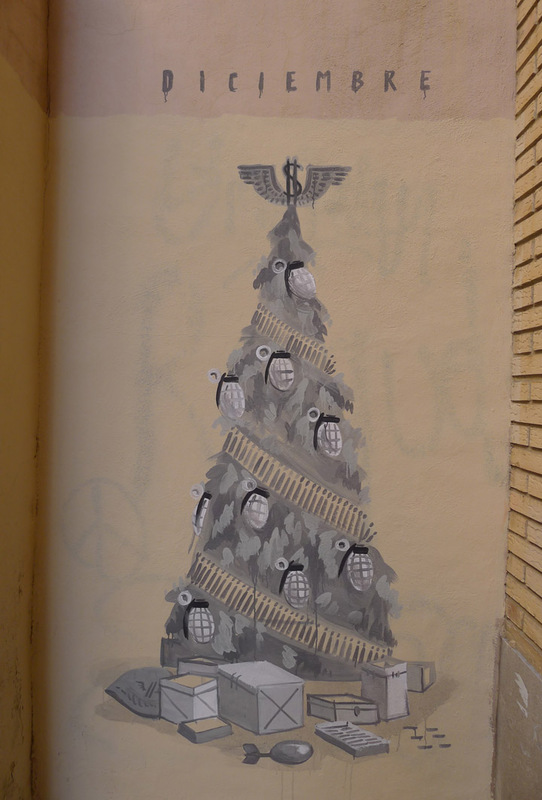 This recent wall in Valencia features his take on the Christmas tree. Categories: Features, Seen on Streets, Street & Urban Art. 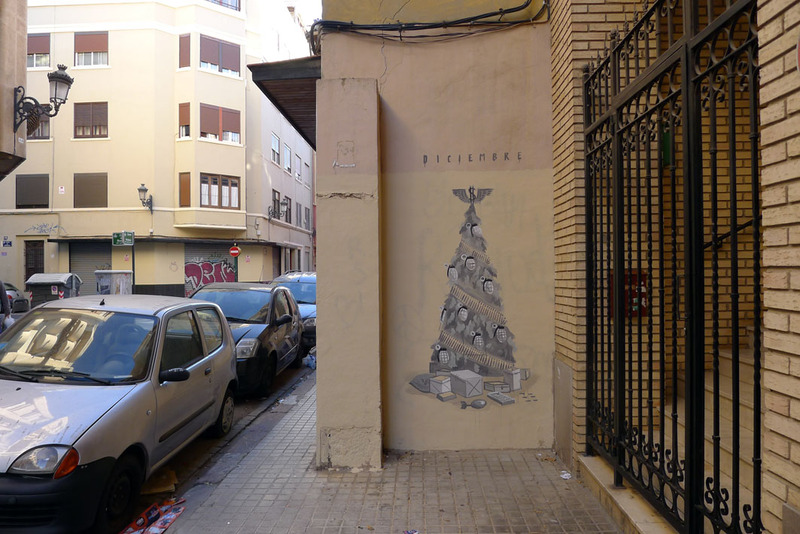 Tags: Christmas, Escif, Features, Holidays, Seen on Streets, Spain, Street & Urban Art.